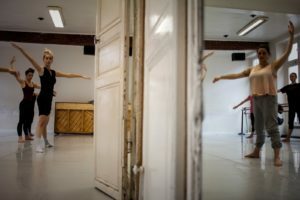 In the next couple of months I will be teaching a few workshops at the Centre de Danse du Marais, in these three hour workshops we start with technique work before we dive into a piece of choreography. The class has a strong base in the Cunningham technique with a personal touch. The choreography is always part of the body of work of Irene van Zeeland. Cost of the workshop is 40 euros per person per workshop, please pay in cash before the start of the workshop.